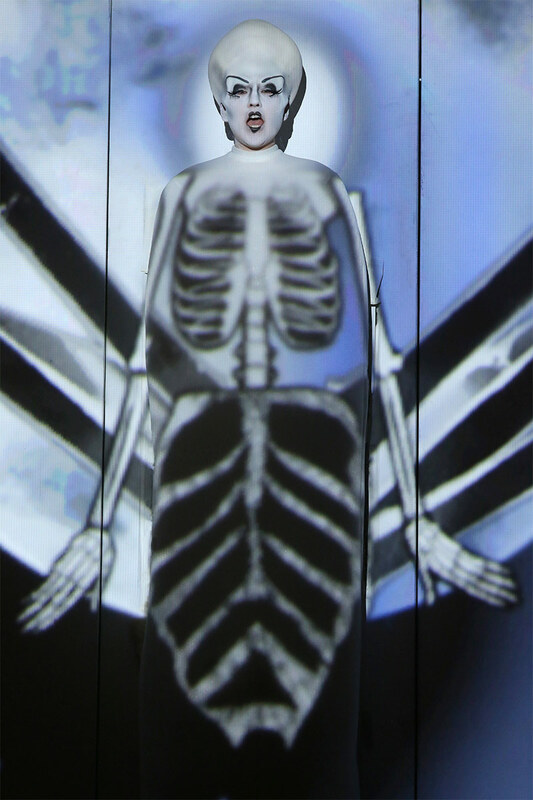 Photo: Craig T. Matthew/LA Opera. Mozart has been given the silent movie treatment and it works brilliantly! One opportunity remains to see LA Opera’s visually engaging and impressively creative version of Mozart’s frothy opera The Magic Flute. The final performance is this Sunday, March 6, at 2PM. See below for more information, plus where to obtain tickets. 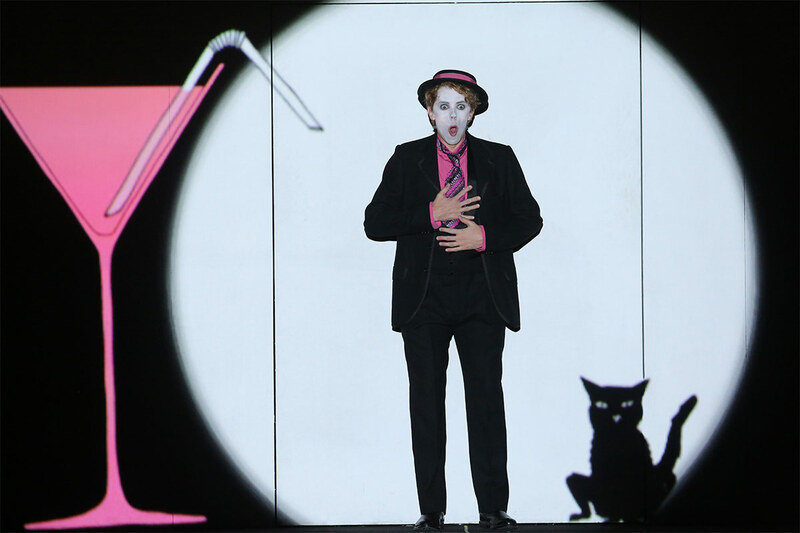 Overly long and often dull, the German-language fantasy story comes to vivid life in director Barrie Kosky’s whimsical production with inventive staging that consists of a large downstage white wall with swiveling doors built into it. Onto this plain ‘canvas’ are displayed the digital projections of countless visual animations that help to tell the story. Drawing heavily from the style, tone and look of classic silent films, the often amusing digital projections revolutionize this opera production. There are numerous homages to silent movie stars such as Harold Lloyd (baritone Jonathan Michie is comically adorable as Papageno) and Louise Brooks (clearly an influence for Søllberg’s Pamina). Max Schrek, the memorable villain from Murnau’s silent movie classic Nosferatu is invoked by tenor Brenton Ryan’s creepy, skull-headed vampyre-like Monostatos. So stylish! 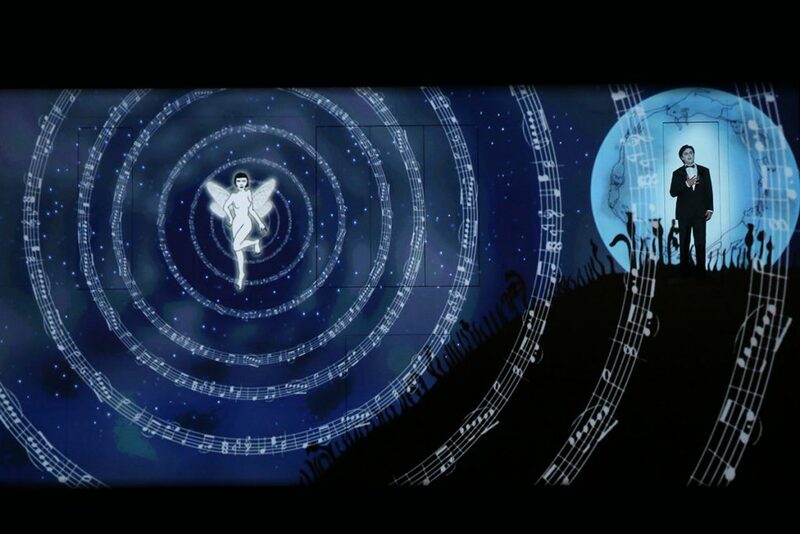 The dazzlingly creative digital projections are all perfectly timed with every note played and sung. At times, the score is simplified to a single instrument — harpsichord — to emulate the familiar backing track of silent movies. Title cards are projected to convey story points. But when the cast are singing, the orchestra returns in full song, under the baton of James Conlon. Soprano So Young Park as the Queen of the Night. Photo: Craig T. Matthew/LA Opera. Additionally, the voices in this production are strong, with many young artists featuring. Soprano Marita Søllberg makes a superb LA Opera debut as Pamina. Soprano So Young Park is breathtaking as the Queen of the Night. Her exquisite and confident voice sends chills down your spine. The trio of boy sopranos while pure, sounded a bit too thin and reedy. Micah Luna performed First Boy last night, while that role will be played by Jack Fagan on March 6; Brandon Takahashi performed Second Boy last night, while that role will be played by Grant Anderson on March 6; Caelan Carter performed Third Boy last night, while that role will be played by Enzo Grappone on March 6. The delightful animation design is by Paul Barritt, based on the concept by 1927 (Suzanne Andrade and Paul Barritt) and Barrie Kosky. Set and costume design is courtesy of Esther Bialas. 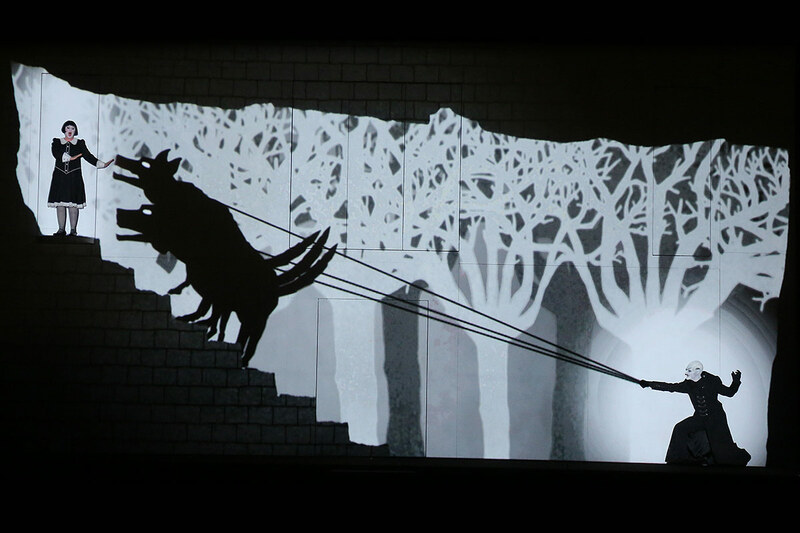 So creative, so visually breathtaking — this is opera for all ages and tastes. Go here to the LA Opera’s official site for more information and to purchase tickets. Baritone Jonathan Michie as Papageno. Photo: Craig T. Matthew/LA Opera.